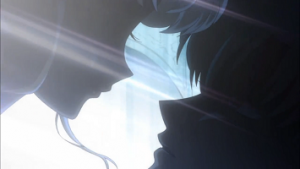 Sailor Moon Crystal Episode 1 Review | The Crystal Chronicles! I was pretty excited about the announcement for Sailor Moon Crystal. I remember waking up early in the morning to watch Sailor Moon when I was very young. So, I was very excited to hear about the new Sailor Moon series. I knew it wouldn’t be the same as the one from my childhood, but I was still eager to watch it, and I’m glad that I did. So, in this first episode, the first thing that caught my attention was the dream sequence at the very beginning. I thought that the music and the outer space imagery was beautiful. Even lovelier was the union of the two “mystery” people about to kiss, that is, until Usagi wakes up in a panic over being late to school. Another part of the anime that I enjoyed involves watching Usagi play the Sailor V video game. 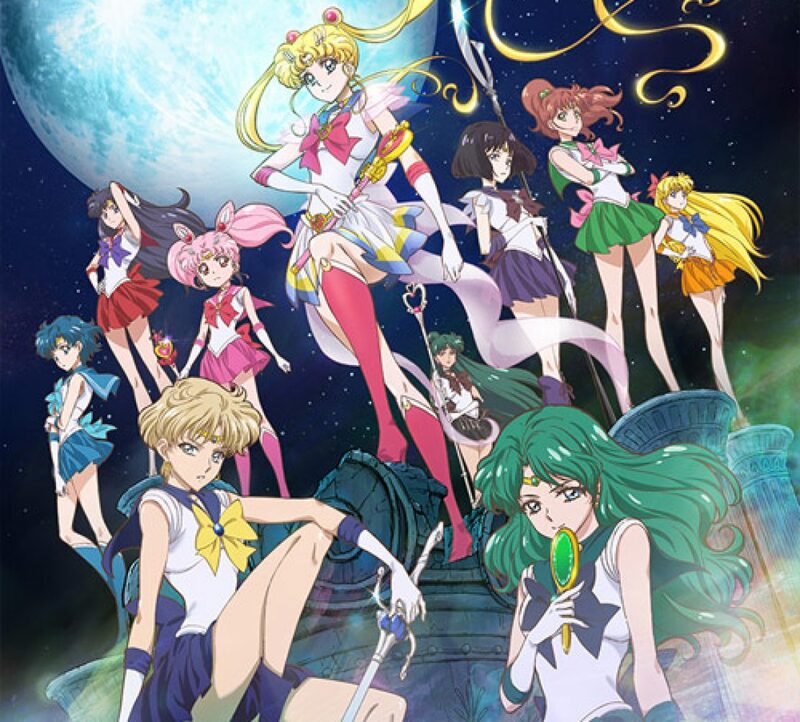 For one, it gives us more of a nod to Sailor V because now, she stands out more than she had in the past with the single poster. Secondly, it gives us more to Usagi’s character right away and not as a joke either. Instead of just being a “crybaby” who performs poorly in school, we now get to witness her doing a hobby and of course with that hobby being video games and with the slightly more mature tone this variation depicts, it’s easier to connect with Usagi. Usagi also becomes easier to understand due to the way the show handled Mamoru and their first encounter. Aside from the change to fancier attire (a snazzy choice compared to his dorky 90’s clothes in the original), the overall milder tone of this series makes this moment much sweeter. 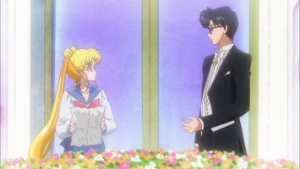 In the original series, I did not like Mamoru for a long time because there were no (extremely minimal, if any) hints about why he was harassing Usagi all the time. In this version, Usagi, of course, gets frustrated at Mamoru’s remarks about her grades, but instead of them both making faces at each other and Usagi grumbling off, they have this moment where they make eye contact and Usagi get caught up in thinking about it. It shows a much stronger hint at their future relationship in a really cute way. Despite my praise, however, there were some drawbacks. I was continually distracted by odd shading and even more so by her lips which don’t seem to sit well with the rest her face. If the story wasn’t as good as it is, I would probably drop this because the faces look terrible. Hopefully as more episodes air, the art will be tweaked to look better. Overall, I enjoyed this episode. I’ve been more of a fan of certain other Senshi for awhile now, but Usagi might be moving up on my list. Her character was well portrayed and she has more redeeming qualities. I just really hope that the art will improve so it can draw me in the way the story has. 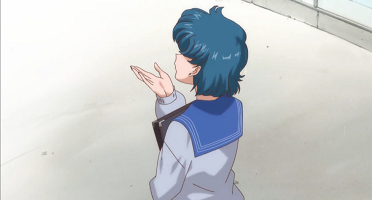 I know I’m at least excited with that preview of Ami at the end of the episode.